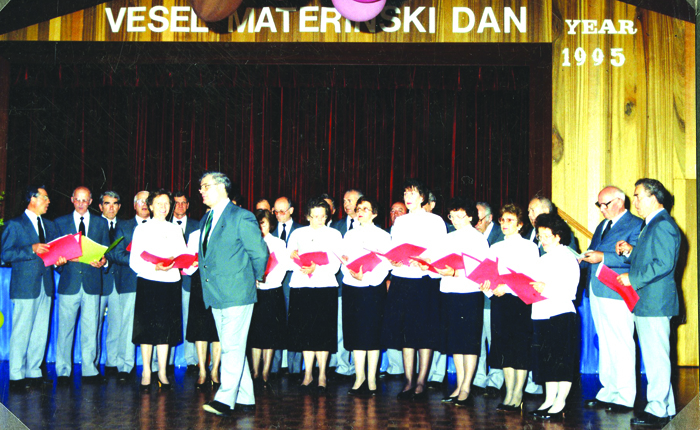 Choir master Lojze Furlan formed a choir in 1958-1959, named Triglav. Helping for a while was choir master Vladimir Trampuž. Branko Sosič established a Kvartet choir in 1959. They practised at Kew, at Padua Hall, where some of the Slovenian young men were staying. The Kvartet performed at many functions in Melbourne and in Sydney, where they travelled by train, paying their own travelling and accommodation expenses. 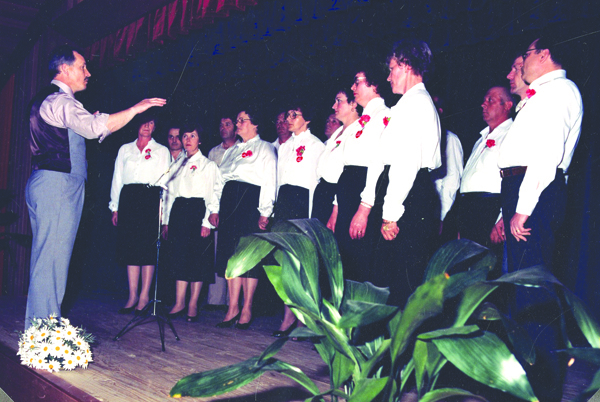 The Melbourne choir named Melbournski Slavčki performed for the very first time in 1959. 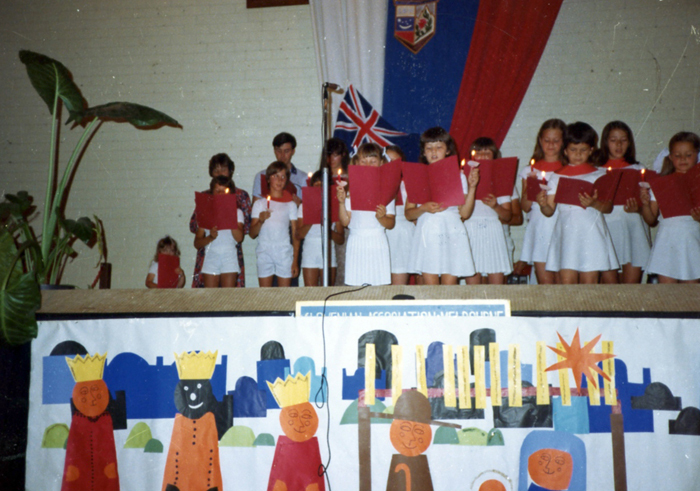 The children’s choir was established in 1978 to perform for Mothers’ and Fathers’ Day celebrations. The choir sang Slovenian children’s songs arranged by the Slovenian composer Kuhar. The choir was led for three years by Draga Gelt, later in following years assisted by Magda Pišotek and Maria Penca. All the children were born in Australia. 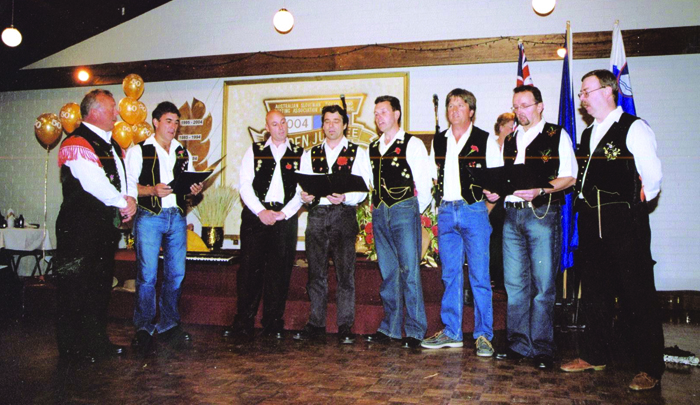 They performed in 1979 for the Silver Jubilee of the Slovenian Association Melbourne and regularly for Mothers’ and Fathers’ Days. In 1980 they started to perform renditions of Slovenian Christmas carols during Advent. The very first Christmas carol performance, named Božičnica, was for the Association’s elderly members. 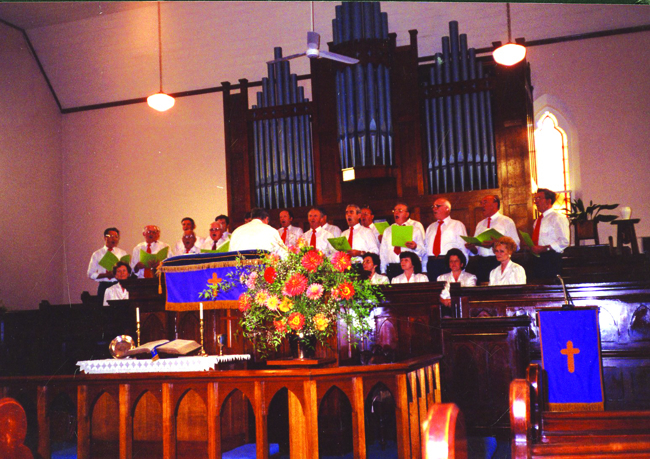 The children’s choir performed for six years, and later they joined with the adults for Christmas carols and continued to perform until 1991. 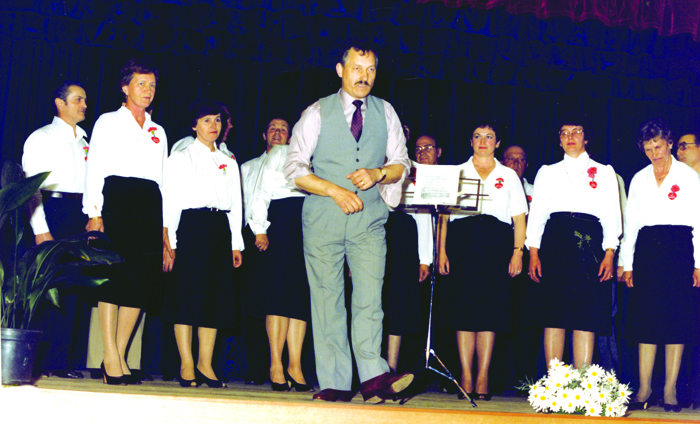 Choir master Branko Sosič 1982. 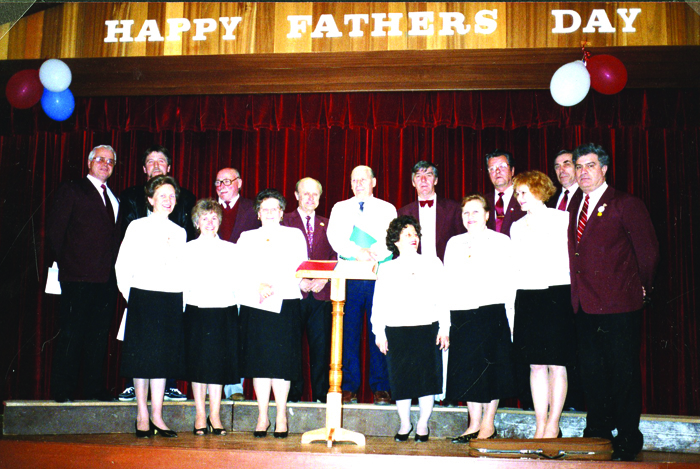 The first performance of the choir was as a male choir, in 1984 the female singers joined them. 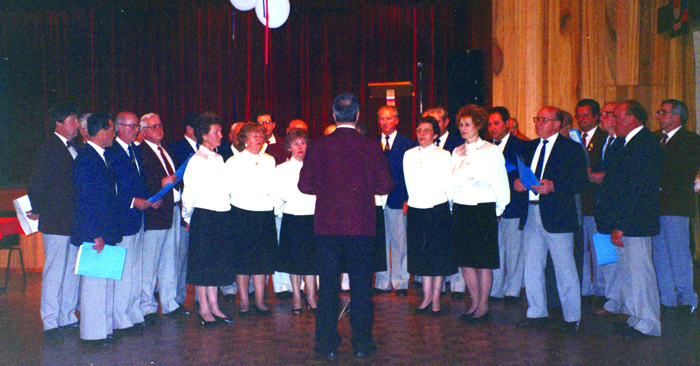 The choir performed until 1990 at Moomba, Slovenian Association Melbourne functions, at Slovenian Association Planica, Melbourne Sydney Myer Music Bowl, in Adelaide, Geelong and Canberra. 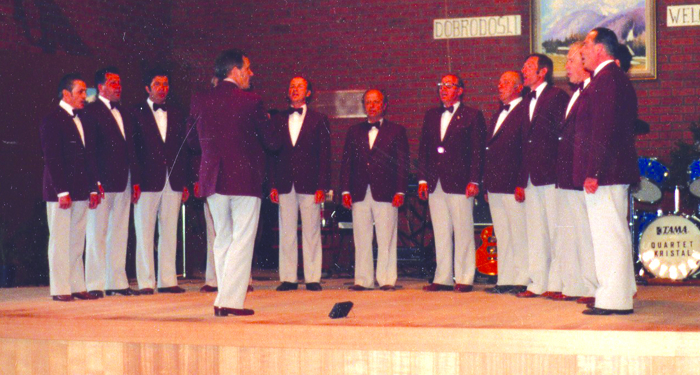 Ocker Octet, established in 1989. Choir master: Branko Sosič and they performed for the 35th Anniversary, but later continued independently. 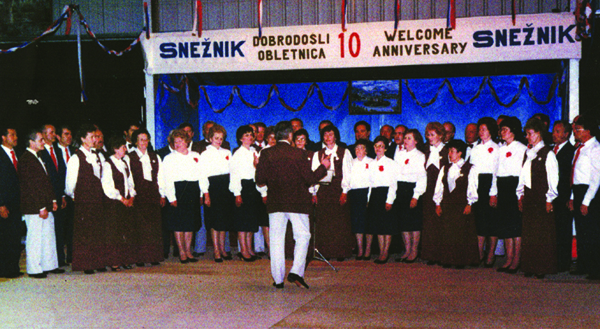 The Ocker Octet was formed for the celebration of the 35th Anniversary of Slovenian Association in 1989. 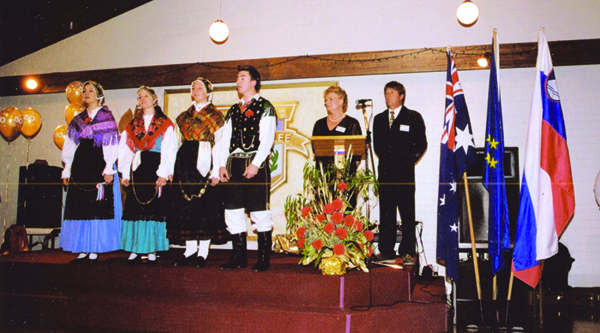 They performed at the 1989 Christmas celebration, for the second Slovenian Tabor in 1990 at Eltham, and at other Association functions, including the 50th Anniversary. They sang Australian and Slovenian songs. 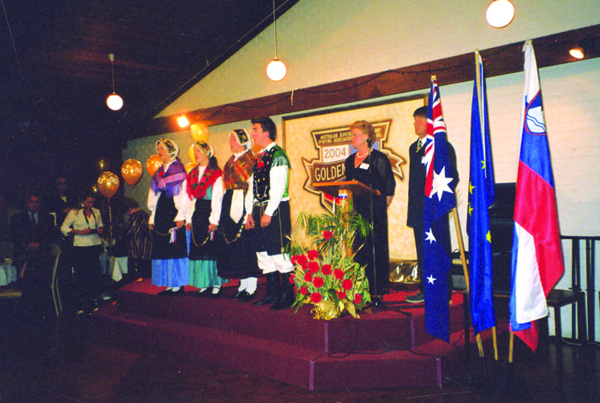 Trio (all members born in Benečija – Slovenian region bordering northern Italy) performed for the 35th Anniversary of Slovenian Association Melbourne. Quartet Proteous Anguinus – The Quartet had four members – children of the Fistrič family: Simon, Michelle, Leah and Melissa Fistrič. In the beginning Steven and Michael Adamič were also a part of the singing group. The quartet performed many times at Victorian Government welcoming performances and celebrations, being invited by the Victorian Government. The members of the quartet were all members of the Victoria Youth Choir, performing alongside with the Vienna Boys Choir while they toured Melbourne.